Are you looking for a spot to spend a few hours, a few days, a week, or maybe a vacation? What&apos;s your pleasure? Sports, history, architecture, mother nature, higher education, dining? 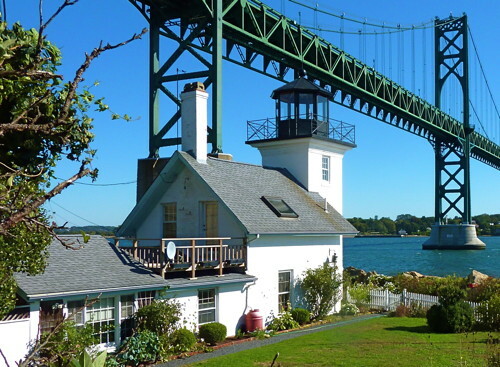 Chances are you can find it in beautiful Bristol, RI. This attractive community is located about halfway between Providence and Newport, bordering on the eastern coast of Narragansett Bay. 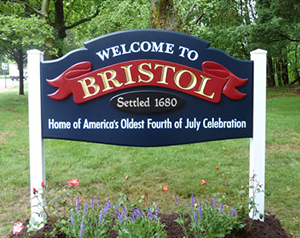 The picturesque Bristol Harbor hosts a yacht club where one can enjoy sailing or kayaking. Alongside the bay there is a bike path that goes 14 miles north to Providence. For nature enthusiasts there is beautiful Colt State Park overlooking the bay, a wonderful spot for clamming, picnicking, hiking, or just enjoying nature. Adjacent to the park is the town beach with multiple play areas for soccer, tennis, softball, volleyball, and lacrosse available for the younger ones. Want more of Mother Nature? Then go down the road and visit the Audubon Society&apos;s grounds or go the other direction to see the wonderful plants of the Blithewold Mansion, Gardens and Arboretum. Still interested? Then go a little farther south to Roger Williams University on the banks of Mt. Hope Bay. Adjacent to the university is the Mt. Hope Farm where farmers&apos; markets, jazz festivals, clam bakes, weddings and other enjoyable celebrations take place. Are you a history buff? Next door is the place - Haffenreffer Museum. This is where it all began - where the Native Americans came from who helped Providence founder Roger Williams forge a new start in the "wilderness." And what could be better than to celebrate the 4th of July observing the oldest parade in America. The red, white and blue stripe will show you where to stand. While there, don&apos;t forget to visit the Herreshoff Marine Museum where one could learn about the famed America&apos;s Cup Races. And finally, stroll through the beautiful side and main streets and see the various styles and gardens of the early American home, many of which are on the National Historic Register. This is just a preview of what is available while visiting Bristol. And we aren&apos;t done - go to the Lobster Pot and finish off your day with a wonderful meal overlooking the bay. Jack Welch is a former educator from the Warwick School Department and Bay View Academy. Since retiring Jack has volunteered for the Providence Preservation Society, the RI Historical Society, and presently for the Providence Warwick Convention & Visitors Bureau. On most other days with the sun shining, he can be found riding his bicycle on the flat streets of Warwick.